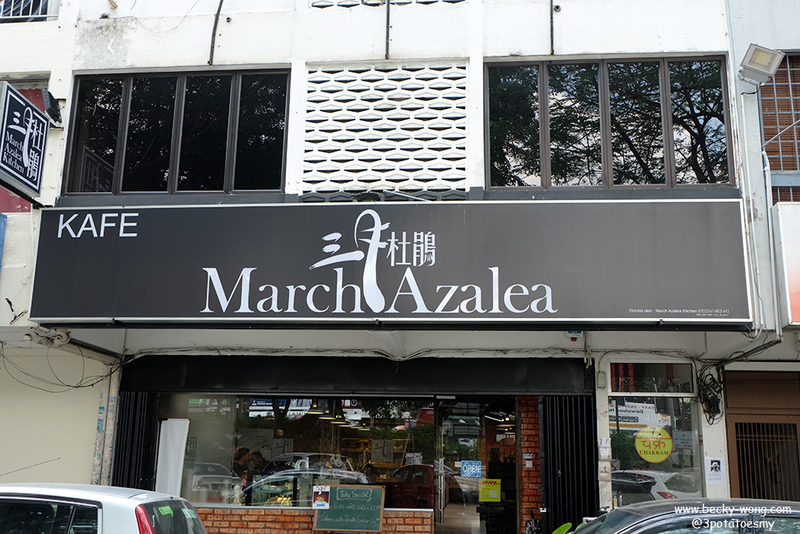 The name "March Azalea Kitchen" caught my attention when I first saw a posting on Instagram. 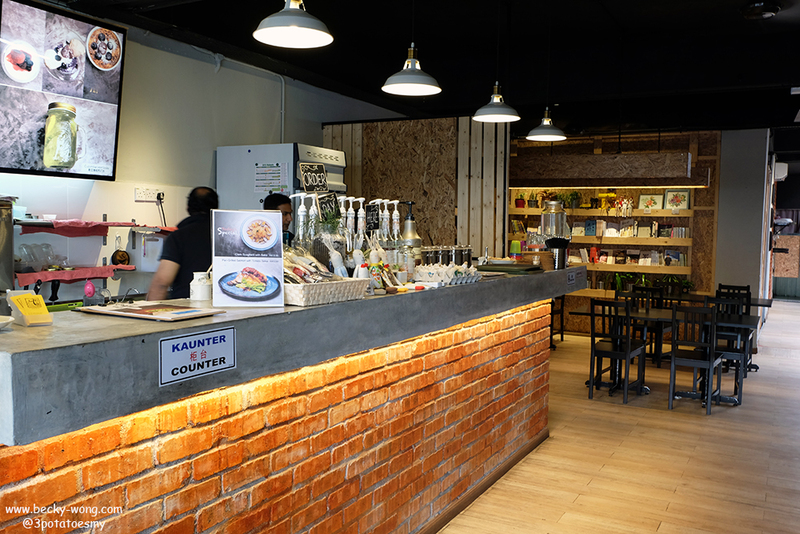 Did some research and found that the cafe is located at Taman OUG. 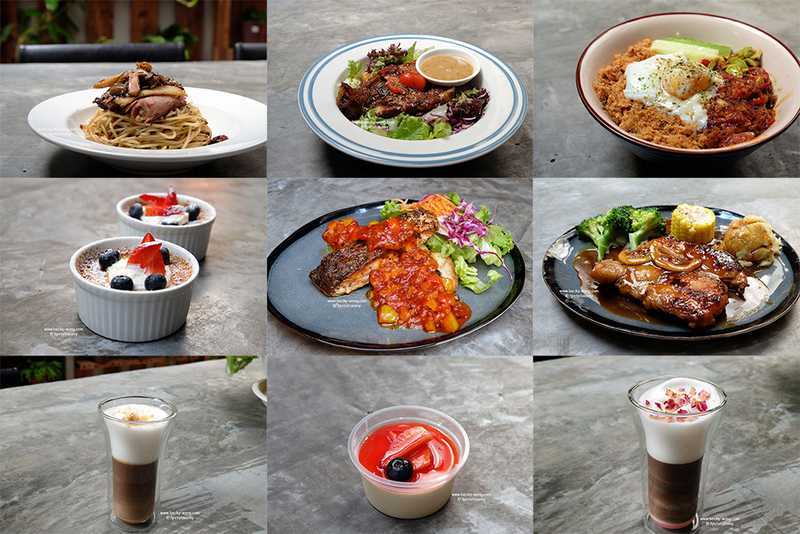 March Azalea Kitchen is a new addition to the cafe family around OUG area, which can make getting a parking space very challenging. It took me a few rounds (I totally forgotten how many round I made) on a weekday afternoon to finally get a parking at the other of the road! I find the name March Azalea to be very poetic. After talking to the found, we found out that his late father passed away in the month of March and his favourite flower was Azalea. Plus, he used to love a Chinese poem titled "三月杜鹃红". 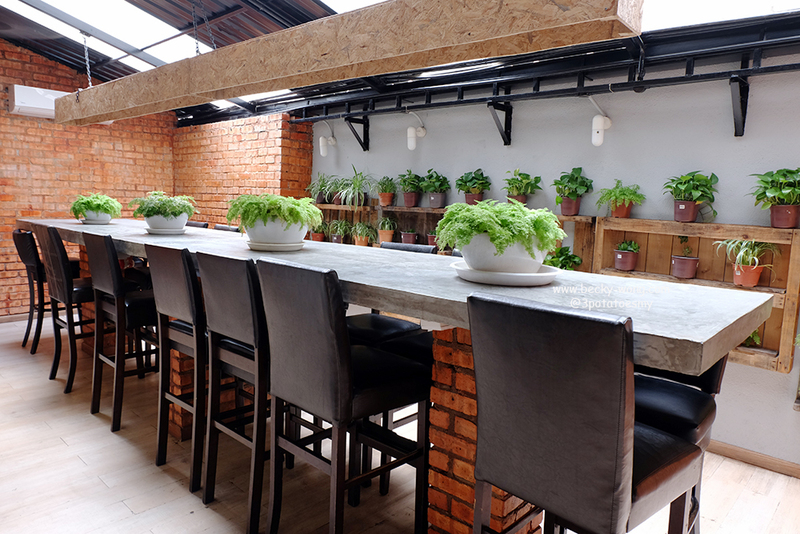 So, he decided to dedicate the cafe to his late father by naming it "March Azalea Kitchen". 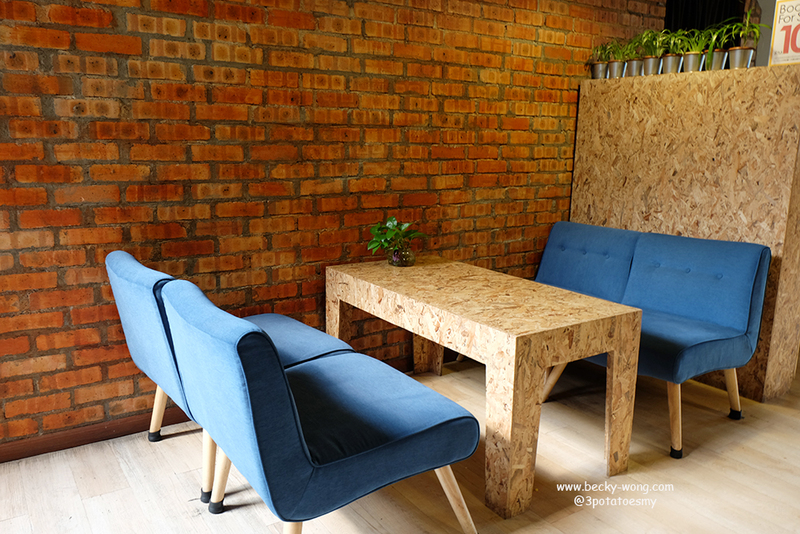 While working in Taiwan he fell in love with the simple industrial look of some of the cafes back there, and decided if he ever had a chance to own a cafe, he'd design it that way. I love the "center court" feel of the cafe, where you'd get natural sunlight. It's also a perfect spot to take photos too! Alone in the cafe? 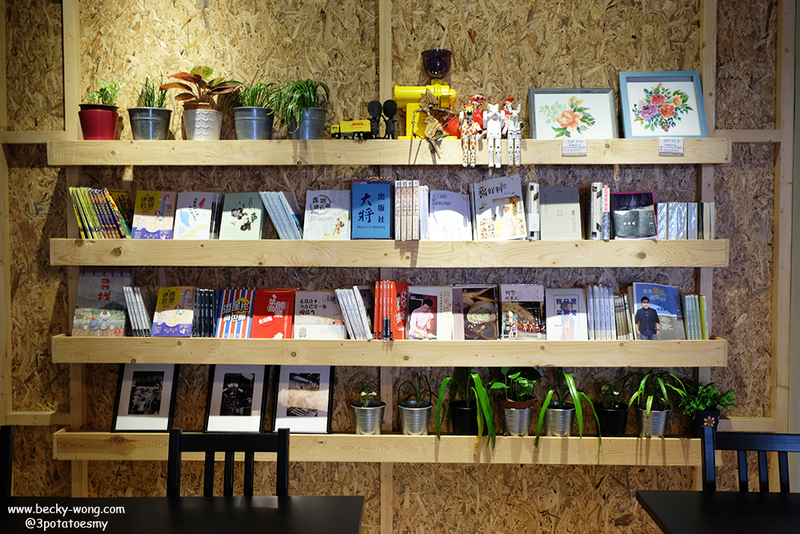 Why not grab a book and read! 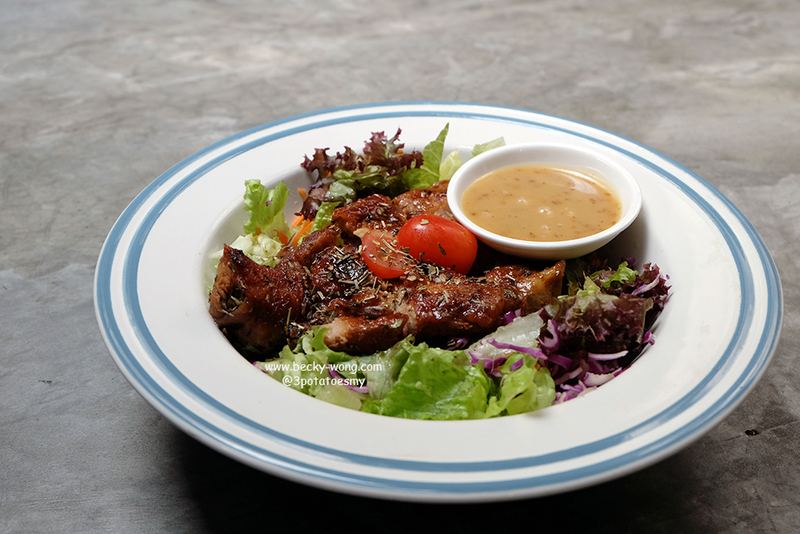 Roasted Chicken Salad (RM 16.80). Juicy chicken served with homemade sesame honey sauce. This was a popular dish at our table. Sambal Petai Egg Rice (RM 13.80). 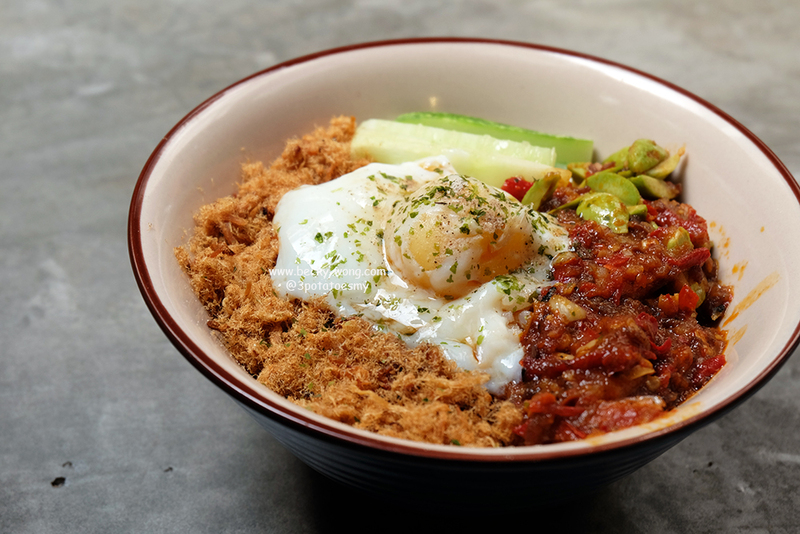 If you love sambal and petai, this is a must have dish. The heat from the sambal can be quite spicy, but I'm a huge fan of the spiciness of the dish. 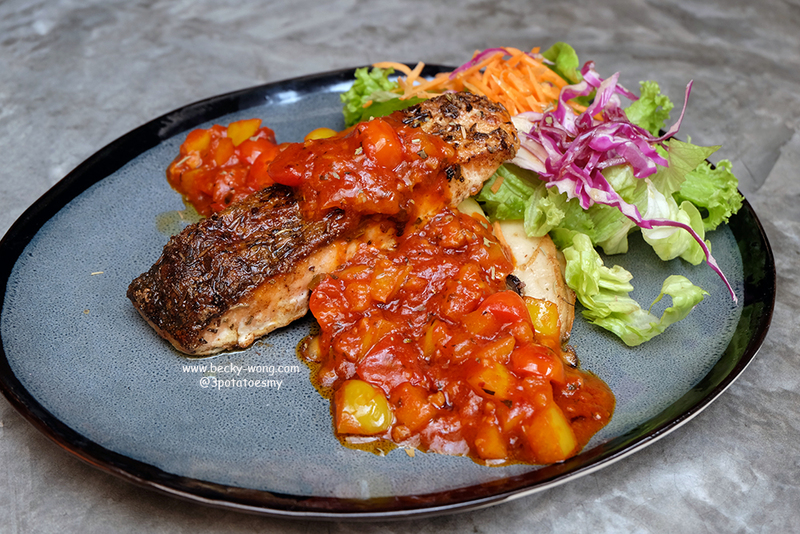 Salmon with Tomato Salsa (RM 32.80). The salmon is perfectly cooked, and the mild acidity from the tomato salsa is very appetizing. 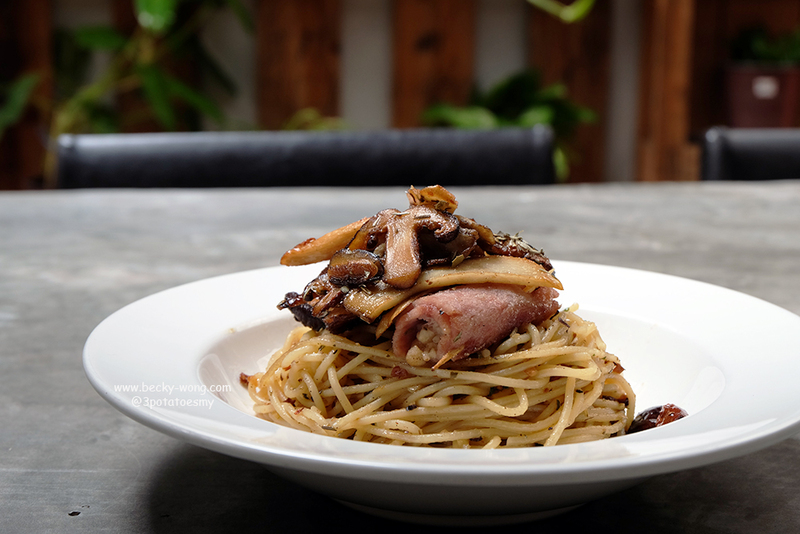 Aglio-Olio Spaghetti with Mixed Mushroom (RM 14.80). I would say if you really have no idea what to order, aglio-olio would definitely be a safe bet. The aglio-olio is quite decent but I love the added umami and smoky flavours from the mushrooms and bacon. 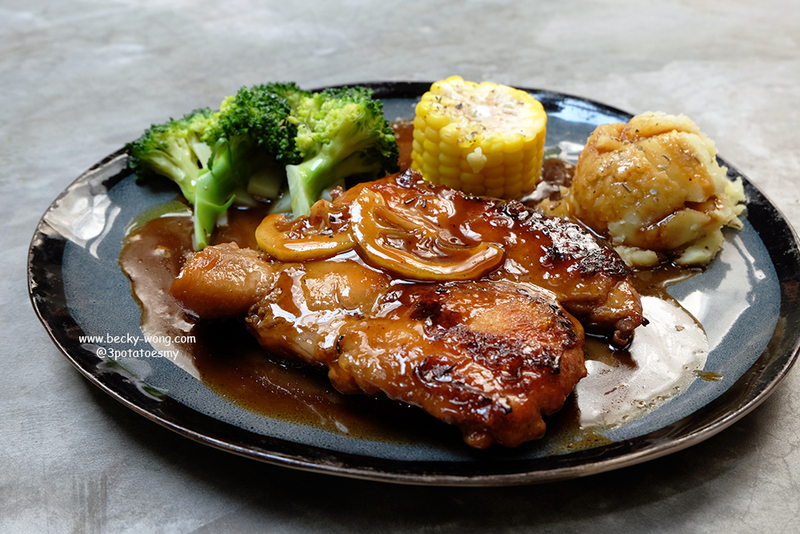 Roasted Chicken with Honey Lemon Brown Sauce (RM 19.80). Once again, we were very impressed by the homemade sauce from the cafe. Then sweet-sour honey lemon sauce is very appetizing and goes perfectly well with the tender roasted chicken. 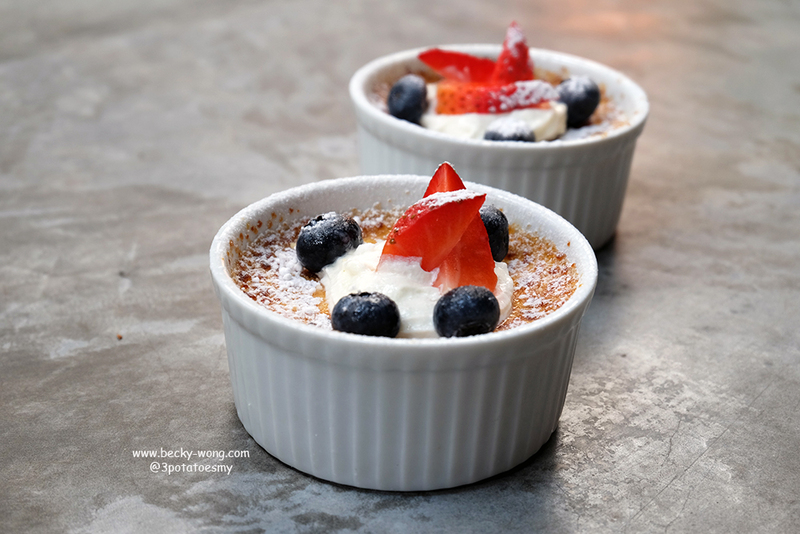 Creme Brulee (RM 11.80). The creme brulee is not too bad - smooth texture with a nice balance of sweetness. 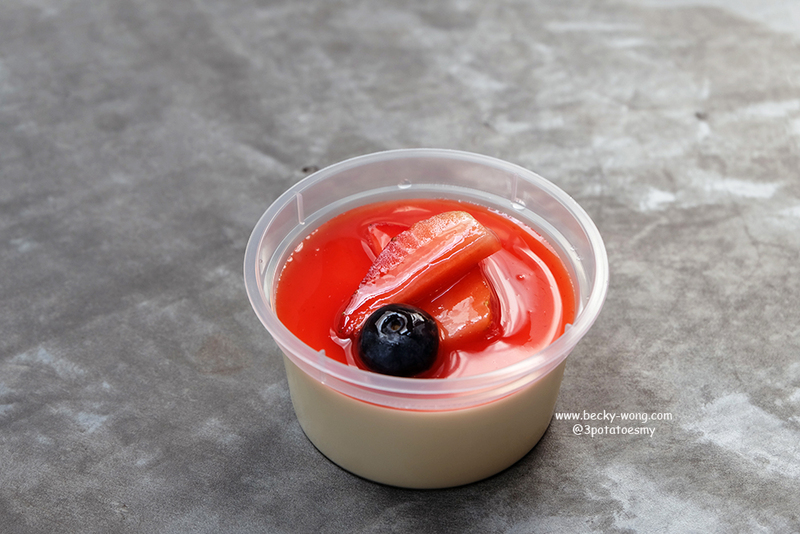 Panna Cotta with Mixed Berry (RM 8.80). I don't really like panna cotta as most of the time it tends to be very sweet. However, the panna cotta at March Azalea is just nice and I like how the sourness of the berries nicely cut through the sweetness of the panna cotta. 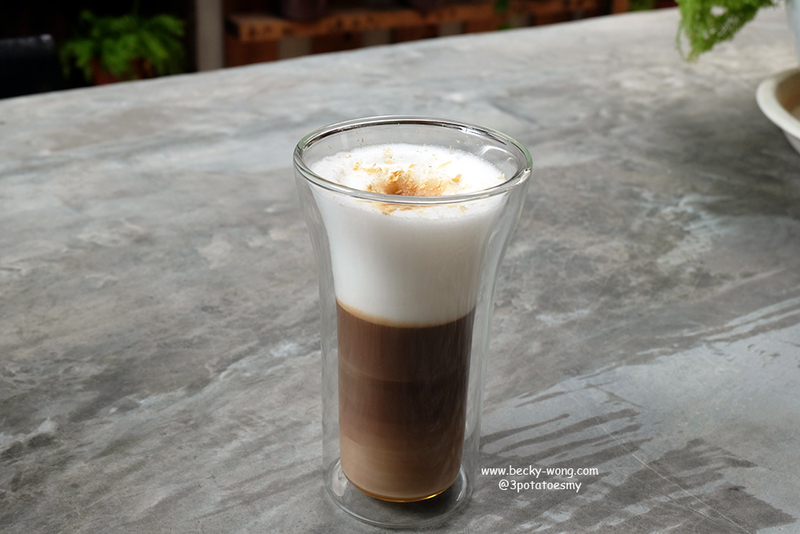 Coffee Cube Latte (RM 10.80). Instead of usual ice cubes, March Azalea uses coffee ice cubes. Rose Coffee (RM 13.80). Personally, I'm not a fan of rose or any beverages that has rose flavour in it. 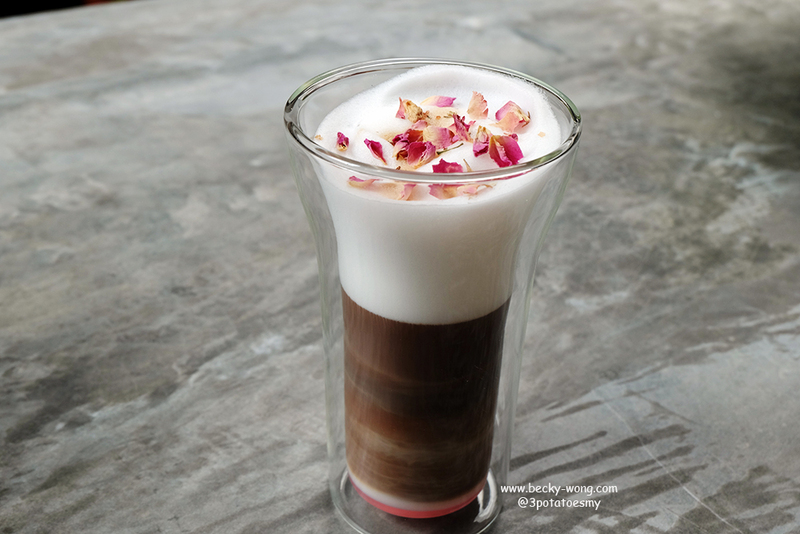 So, the Rose Coffee was ok for me, but I do know quite a lot of people enjoy this floral drink. Jasmine Coffee (RM 13.80). 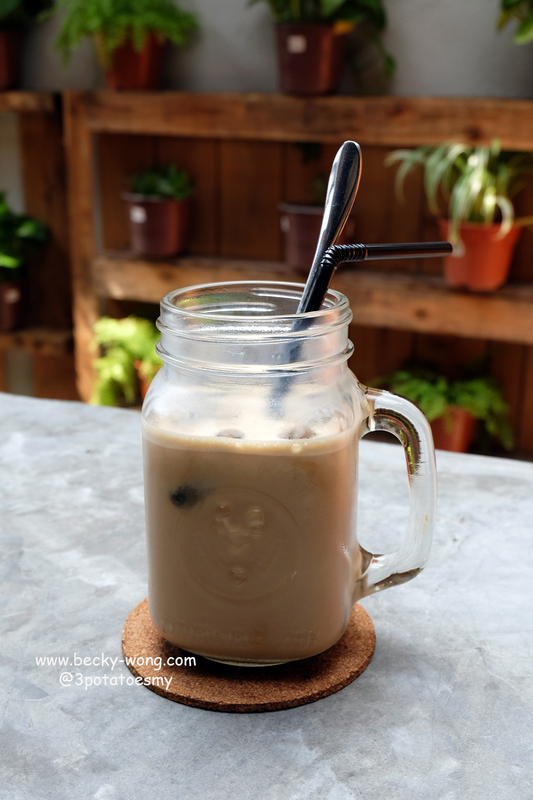 Apparently, Jasmine Coffee can be easily found in India. So, the boss decided to introduce this drink to the locals here. I love the subtle flavours of jasmine, and not too overwhelming. March Azalea Kitchen is still very new but I'd say they are already doing pretty good on the food and drinks department. 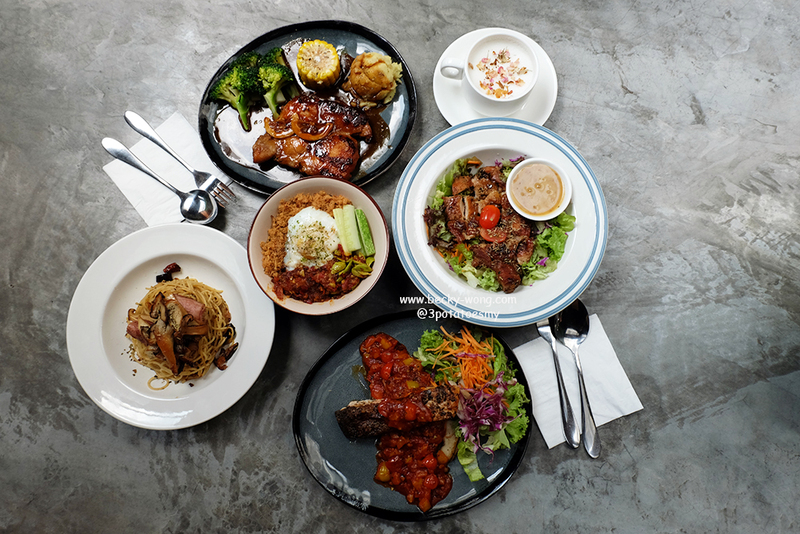 If you are around the area, do drop by and give it a try, especially the salmon and sambal petai rice! To know more updates on March Azalea Kitchen, check out their Facebook and Instagram.